Because they use more power generally than domestic premises, businesses have the potential to benefit more from commercial heat recovery. A simple plus for offices that have a suitable ventilation system installed is that they can provide clean, fresh air for their employees but also cut down on energy bills with efficiency savings. Those that use large size boilers can fit flue economisers which add further sustainability to the day to day running of any medium to large size office or business. Businesses nowadays have to take their carbon footprint seriously and a commercial heat recovery system, combined with other green strategies, can greatly decrease carbon emissions and take a chunk out of the price they pay for electricity and heating bills. The truth is that your business may well be losing heat in a variety of ways, from your existing ventilation system to boiler flues and blowdown, which mean you are not recycling as profitably as you could. Whilst most new builds now incorporate a full commercial heat recovery system that automatically reduces the costs and provides a more sustainable environment, older buildings have greater challenges to overcome. The need for a bespoke solution for older buildings is often a matter of the space available to undertake the retrofit as this heat recovery upgrade for Marks and Spencers shows. Retrofitting an existing office block or commercial premises comes at a cost but the payback could be fairly quick if the right system is installed. An example is an 8 storey office block in Hamilton that was spending around £115,000 in running costs with their existing system. The installation of a new, hi-tech commercial heat recoveryinfrastructure actually brought that sum down to just £18,500. A number of businesses are also looking to install either ground or air heat pumps that can provide a valuable source of power with the added advantage that these systems benefit from the government’s Renewable Heat Incentive (RHI) which pays companies for the energy they produce. Can you Retrofit a Heat Recovery System? 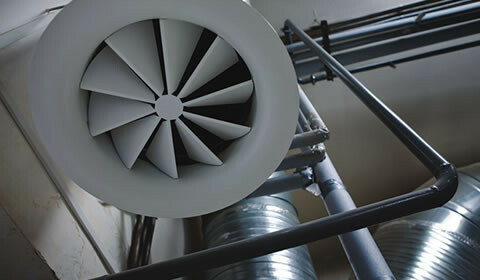 As with domestic HRVSs, there are a number of issues to consider before considering a heat recovery system. Is the new system simply replacing the old one or does a whole new infrastructure need to be installed? Is their space on the premises for a commercial heat recovery system? That’s not just for the ventilation unit but the ducting that has to connect each of the rooms in the building. Is the building reasonably air-tight or does it need to be made so? 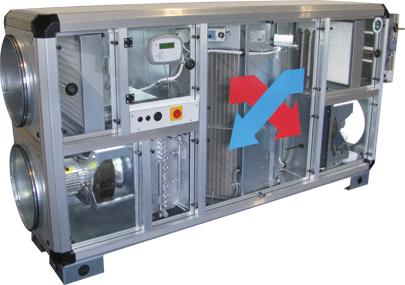 Can you integrate the new heat recovery unit with your existing systems? Any reputable commercial heat recovery installer will be able to give you a full assessment as to whether it is practicable for your office or building. Universities are deeply involved in developing the next generation of heat recovery systems. Sheffield Hallamrecently worked with a major UK company to help produce a new commercial heat recovery system for industrial size kitchens. Whilst in the past you may have found it hard to discover more than a couple of higher education institutes researching and developing renewable energy and sustainability technologies, nowadays it’s easier to find one that hasn’t got a department for it. And it’s not just in the UK either, R&D is going on in every corner of the world.